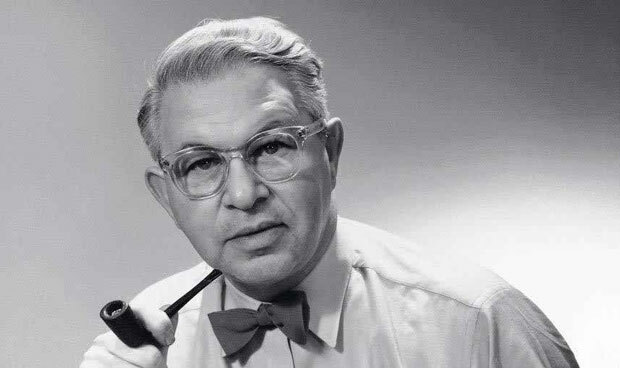 The Danish architect, Arne Jacobsen, famous for his chair designs, was born on 11 February 1902 in Copenhagen. At an early age he got the training of stonemason and then got enrolled at the Kongelige Danske Kunstakademie in Copenhagen until 1927 to study architecture. During this time Jacobsen designed a chair and exhibited at “Exposition Internationale des Arts Décoratifs et Industriels Modernes” in 1925 that got him a silver medal. His fame as chair designer started off at that time and he is still regarded as the best and most innovative chair designer in the world. Throughout his career, Jacobsen could never decide for one between architecture and design, thus conceived projects with amalgamation of both. This is the reason that every architectural piece of Jacobsen is accompanied with minute details showcasing his great love for arts. He used to put a lot of thought even for wallpapers, carpeting, furniture and lighting, thus turning his projects into complete work of art. Jacobsen brought Modernism to Denmark. One of the most influential buildings of Jacobsen is the Royal SAS Hotel in Copenhagen (1956-60). For this project he not only designed the street furniture but also went in depths working with details which included interior, lighting, cutlery, and even ashtrays. His contribution to modern architecture and specifically to Danish architecture is appreciated with a great regard. His offerings to modern movement are respected for their originality and innovation. Along with architecture, he took equal interest in furniture and product designing. This is the reason that today furniture design is the major field associated with his name. The interesting notion about his product designs was that they were all originally created for the support of his architectural designs. Other than all this his interior designs for faucets, bathroom accessories and kitchen add-ons also won him so much fame. Even today a Danish company named Vola is revitalizing his classic designs through their products. Like many other architects Arne Jacobsen also served as a professor of architecture at the Skolen for Brugskunst in Copenhagen and died an unexpected death on March 24, 1971 in Copenhagen, Denmark.